Cadíz, España – a whole new world to me. Let's start with, why I am writing this and not my papers? haha! kidding, well, I need a breather! (ehem, excuses!) But, seriously, how the hell I got here in Spain!? Well, if you've been reading my previous posts, I am here in Spain doing my further studies to improve and learn more knowledge about … Continue reading Cadíz, España – a whole new world to me. where have i been in the world? 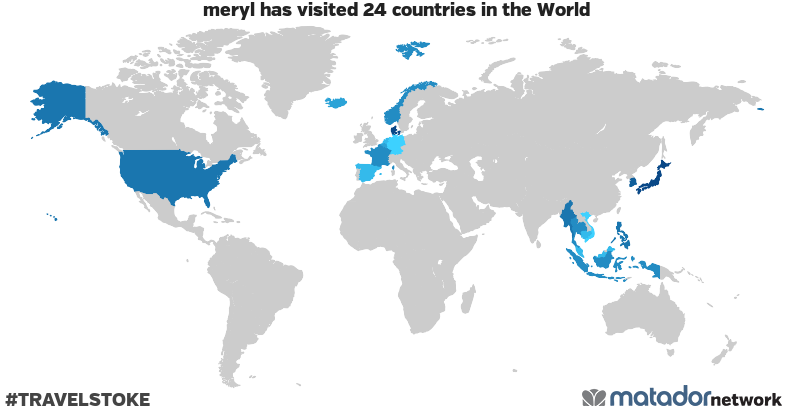 meryl has been to: Belgium, Cambodia, Denmark, France, Germany, Hong Kong, Iceland, Indonesia, Japan, Luxembourg, Macao, Malaysia, Malta, Myanmar, Netherlands, Norway, Philippines, Singapore, South Korea, Spain, Taiwan, Thailand, United States, Vietnam.